Sweet sticky rice? 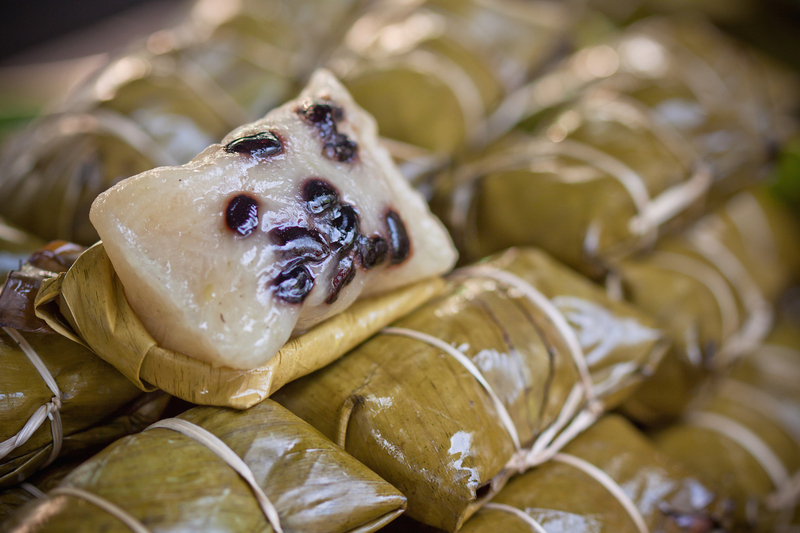 Hearing that term might scared you off but trust me, sticky rice dessert tastes really good! And in Thailand, we have a variety of desserts with sticky rice as the main ingredients. We can find them everywhere all over Bangkok, Chiang Mai, Phuket. Are you ready to go on a sweet journey with me? Let’s go! Banana is a cheap and common fruit in Thailand. That is one of the reason that a lot of Thai dessert will use banana as one of its main ingredients. Thai people wrapped banana in sweet sticky rice like burrito style and then wrapped them inside banana leaves. Then we steamed them until they are ready to be eaten. This dessert is so good that one is not going to be enough for sure! To make custard, duck egg, sugar, coconut milk, and pandan leave water are mixed together and then steamed. The local store normally put a slice of custard on topped of the rice and then wrapped them up in banana leaf. It can be enjoyed as a grab-and-go snack. Try it; it’s awesome! Black bean lover should enjoy this dessert! 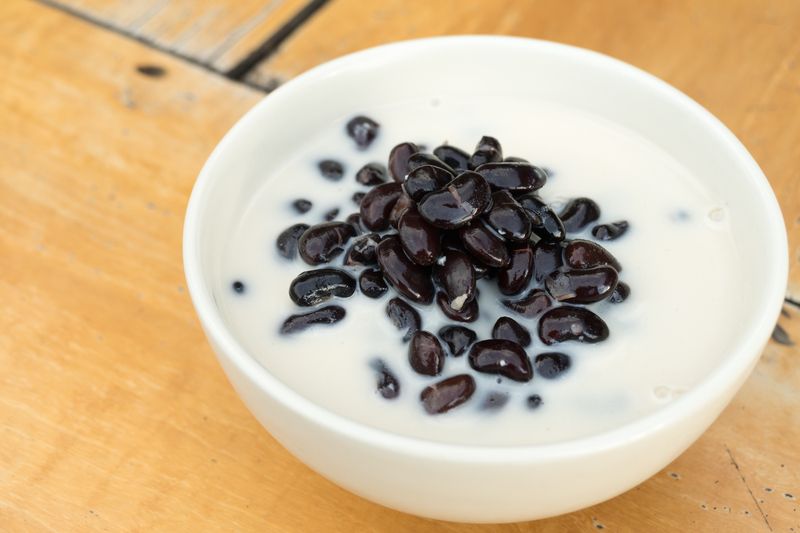 Thai people will cook the black bean over the stove with coconut milk, sugar, and salt until the black beans softened. When the black beans are ready to be served, we put a scoop or so of sweet glutinous rice into the bowl. Eat it hot or cold! This dessert can be find at most Thai dessert street vendor along the street of Thailand. 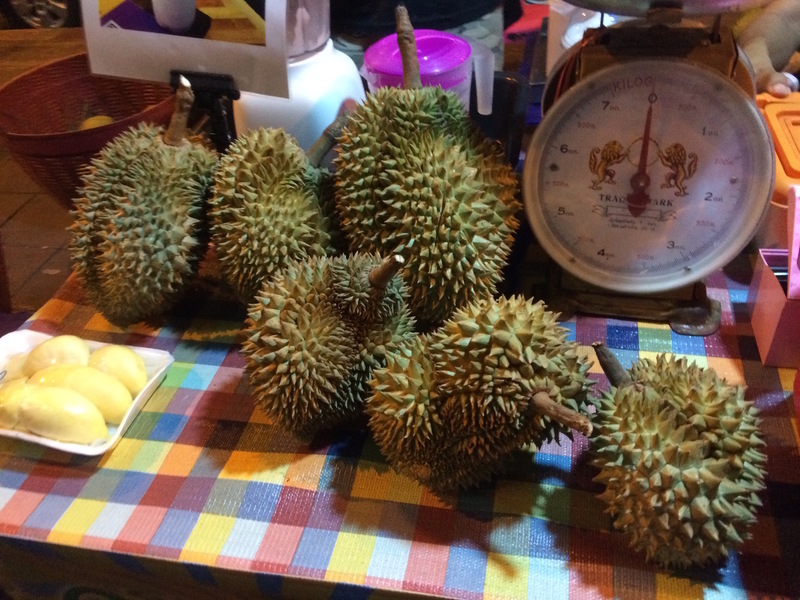 Durian and glutinous rice? This combination might sound a little weird but trust me, local Thai really enjoy this combo. 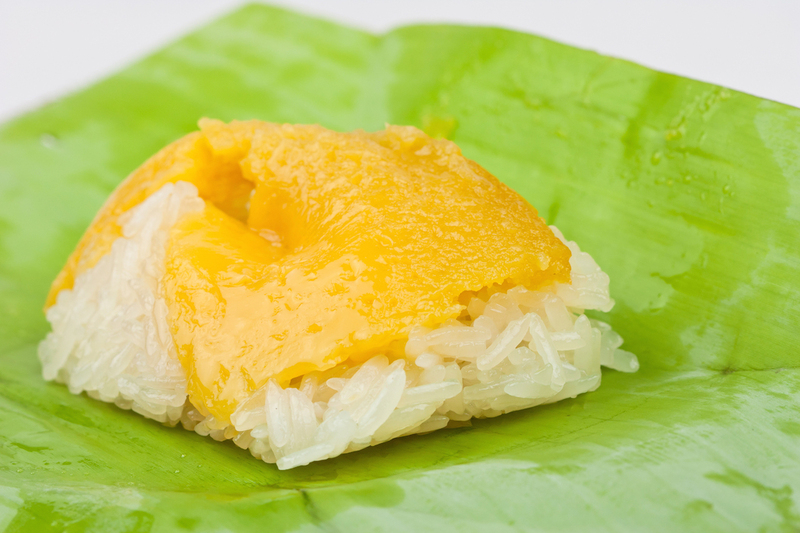 It is similar to mango sticky rice but the sweet sticky rice is eat with fresh (smelly?) durian instead and durian coconut milk will have to be poured on the rice before it is ready to eat. Ready to try our king of fruit! Local guides can take you to the fruit market to try it! 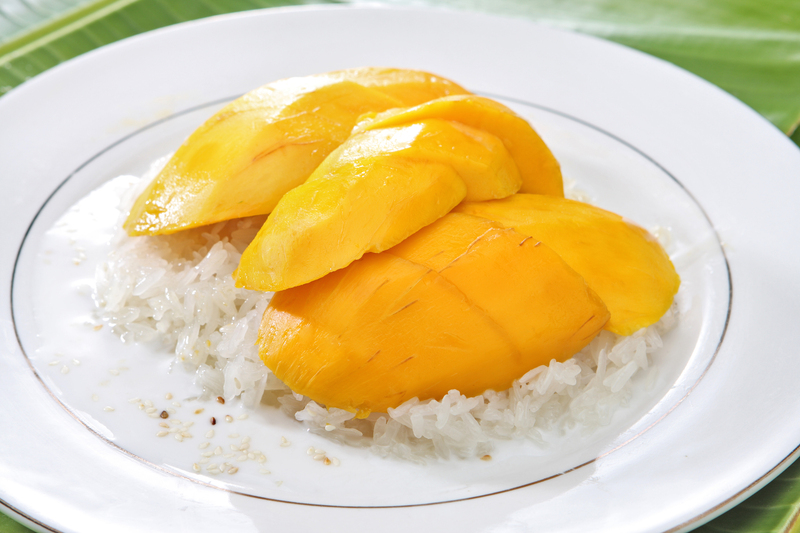 Last but not least, everyone’s all time favorite … Mango sticky rice! Yellow mango in Thailand is really sweet and juicy. Nowadays, it can be enjoyed throughout the year but the best mango should be eaten during summer season. The Mango shop will steam the rice with fresh coconut milk, salt, and a little bit of sugar. Some shop might even add natural colorings to the rice for example by using pandan leaves for green color or butterfly peas for blue. Before you eat this, don’t forget to sprinkle crispy yellow mung beans on top of the rice, then enjoy! Thus, until this point, I bet you guys are already craving for these delicious sweet desserts. So the next time that you come to Thailand, do not forget to try them all. And the trick is to get some local guide to guide you to the best place to try these delicious sweet. Enjoy!